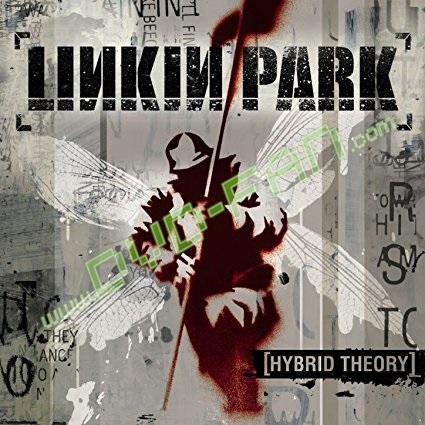 Linkin Park: Mike Shinoda (vocals, programming, samples); Chester Bennington (vocals); Brad Delson (guitar, bass, background vocals); Rob Bourdon (drums, background vocals); Joseph Hahn (turntables, programming).Additional personnel includes: Ian Hornbeck, Scott Koziol (bass); The Dust Brothers (programming).Recorded at NRG Recordings, North Hollywood, California. "Crawling" won the 2002 Grammy Award for Best Hard Rock Performance.Linkin Park's mixture of metal, industrial rock, and rap fits comfortably into the niche created by the likes of Kid Rock, Korn, and Limp Bizkit. The opening "Papercut" is every bit as angular and unavoidable as its title. "With You" opens with electronic squeaks and squiggles before leaping into a mix of heavy guitar riffs and hip-hop rhythms. "Crawling" bears a largely subdued tone and atmospheric synth coloring that provides a respite from the crushing riffs and grinding rhythms that typify HYBRID THEORY, but even this relatively sedate song is full of tension and sonic angst. The five young men of Linkin Park are on a mission to communicate their inner turmoil through a non-stop barrage of confrontational lyrics and aggressive aural constructions, and their debut gets the point across with alacrity.